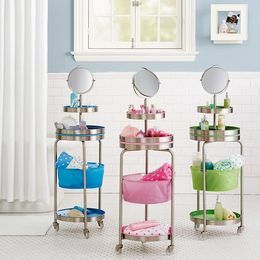 It's time to rethink the way you store your cosmetics this spring. See our picks for the best makeup storage based on the size of your stash. Clinique Bottom Lash Mascara: Worth It? 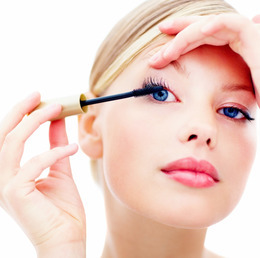 Beauties, do you apply mascara to your lower lashes? I usually try to leave my them bare because any makeup in that undereye area—especially mascara—has a tendency to smudge so quickly—leaving me with panda eyes. But keep reading for a new innovation that is making me a bottom lash mascara convert! Hve you ever wondered what those little bumps on the back of your arms are? Keep reading for more details on Keratosis Pilaris and how you can treat them from New York City dermatologist Dr. Jeannette Graf. For shiny, frizz-free hairstyles, Brazilian Blowout is a miracle salon treatment, but the straightening treatment contains small doses of carcinogenic formaldehyde. Good thing Brazilian Blowout just announced a new formula with zero formaldehyde. Beauties, are your hands parched? The dry weather can turn once-smooth palms into dull, cracked, and flaky mitts! 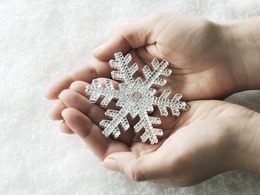 Keep reading for three easy ways to get soft and moisturized hands during the cold months. The Oscar red carpet was really varied when it came to hair...we saw everything from stick straight hair, to chic ponytails and loose up-dos. Keep reading to see how Scarlett Johansson got her signature Oscar 2011 hairstyle! We got to know Elessa at IMATS Pasadena last year during the Guru Summit and just like her videos, she’s absolutely amazing and full of beauty knowledge. Also known as Pursebuzz, she is one of the original gurus that started on YouTube, showcasing her makeup skills and talent to the world through her beauty tutorials. We swung on down to the beautiful San Diego to meet up with Elessa and spent the afternoon chit chatting about her life in the beauty lane. Read the rest of the entry to watch our video interview with the one and only Pursebuzz! Whether you’re a nominee or a star news reporter, working the red carpet is a tough job--that you have to do while staying glam and gorgeous! Keep reading for E! News authority Giuliana Rancic’s red carpet makeup secrets, including why she skipped foundation at the Oscars this year! Has your otherwise perfect makeup application been washed away by a surprise downpour? Keep reading for tips and tricks on how to keep your makeup looking gorgeous—not washed out—in wet weather. Having the right shampoo and conditioner formulation to match your hair type will help make the most of your natural hair texture. Clear shampoos are lightweight and less heavy than creamy ones, which makes them great for people with oily hair. Creamy shampoos are heavier and can weigh down fine hair, but are great for dry or damaged hair. I didn’t realize there was a difference and constantly used creamy hair products on my fine hair, causing my scalp to become extremely oily. Here is our list of the best shampoos and conditioners for your particular hair type. The calendar may say March, but with the cold weather still here, it's no wonder that our skin feels so drab and dull. Keep reading for three moisturizing, do-it-all products every dry-skinned makeup junkie needs to have in their collection. Rihanna’s debut fragrance, Reb’l Fleur is already #1 at Macy’s. Here’s info about the notes and the video. We caught up with Hollywood makeup artist Matthew VanLeeuwen (the makeup artist behind Marisa Tomei’s radiant Oscar beauty look) right after the biggest night in Hollywood. Read our Q&A and learn his best beauty tips on the red carpet. NARS worked with makeup artist Tasha Brown to create Florence Welch’s looks for both her red carpet and performance looks at the Academy Awards. 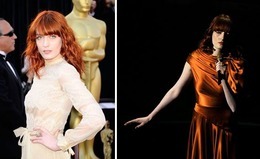 Keep reading to see the full NARS beauty breakdown of Florence Welch’s makeup at the 2011 Oscars! Mandy Moore looked elegant and sophisticated in her sparkling Monique Lhuillier gown at last night’s 2011 Oscars. Keep reading to see the full NARS beauty breakdown of Mandy Moore’s makeup at the 2011 Oscars! Model and actress Brooklyn Decker stunned in her lavender gown and romantic curls…and her makeup went perfectly with the outfit! Keep reading for Brooklyn’s full beauty breakdown. “Modern Family” star Sofia Vergara looked the part of buxom brunette at this years Vanity Fair Post-Oscar Party. Keep reading for Sofia’s full beauty breakdown. At Jil Sander’s Fall 2011 fashion show in Milan, Redken Creative Consultant Guido Palau was inspired by classic ’60s culture and created a hairstyle from a wig wrap. Keep reading for details on how to get this elegant updo! Michelle Williams, “Best Actress” nominee for “Blue Valentine”, look uber chic on the Oscar Red Carpet. Keep reading to see Williams' full beauty breakdown with Chanel at the 2011 Oscars. CHANEL Celebrity Makeup Artist Kate Lee was the beauty mastermind behind all nine of Anne Hathaway’s 2011 Oscar looks. Keep reading to see Hathaway’s entire beauty breakdown with Chanel at the 2011 Oscars.